A few months ago, I visited a newly-opened museum in Lahore that, along with sections on Partition and the contemporary history of Pakistan, also included an exhibit on its ancient and pre-colonial history. 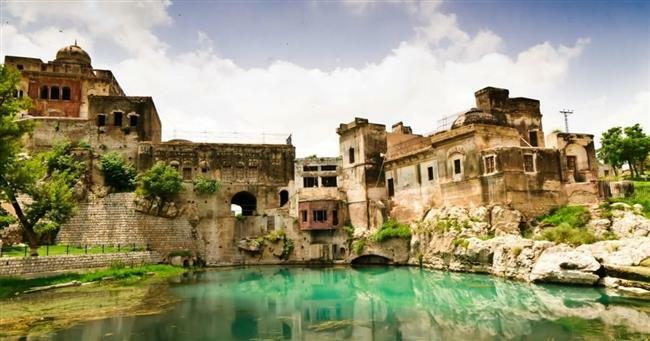 It was titled “Ancient Pakistan” and included references to the Indus Valley civilisation, the Mauryan Empire, the Kushan dynasty and even the Khalsa Empire of Ranjit Singh. While there were certain conscious inclusions and exclusions in the exhibit, possibly to align with the current nationalist discourse in the country, the title of the section stood out as a little odd. It felt like a modern category had been imposed on the ancient, a trend increasingly on the rise across South Asia. The generally used term “Ancient India” perhaps would have not evoked a similar reaction. The overarching nationalistic tilt of the museum might explain why its curators were reluctant to use the term “Ancient India” for its exhibits. In such a nationalistic framework, there is only one India — the Republic of India. In this narrative, the nuance of the term “Ancient India” — which, in addition to including parts of contemporary India, also includes areas of Pakistan, Nepal and Bangladesh — is lost. In this simplistic framework, contemporary India becomes the modern-day incarnation of the ancient civilisation that is India. However, this phenomenon is not unique to Pakistan and its nationalist discourse. The Republic of India, which emerged after the Partition of British India, embraced its ancient Indian heritage, becoming the visible successor of Ancient India. What helped its cause was the continuity in the names — India. While on one hand, the contemporary Indian state drew historical continuity from its ancient past, on the other hand, its exclusive use of the name “India” also helped spread the perception globally that it was the only rightful inheritor of the legacy of Ancient India. A couple of weeks ago Shoaib Daniyal wrote an incisive piece on Scroll.in in which he pointed out that for a brief moment in the history of South Asia, Muhammad Ali Jinnah objected to the use of the name “India” by the new country, arguing that it should be referred to as Hindustan. Nothing came of that conflict, but there are contesting theories as to why Jinnah raised the issue in the first place. Perhaps he saw both India and Pakistan as the successors of historical British India. As opposed to being a universal name for the entire Indian subcontinent, the name “India” was picked by the British after the formation of their Empire. It has Greek roots. The Greeks referred to the land across the Indus as India. Once the name took root, the history of the land began to be referred to as Indian history. In all academic discourse, the pre-Partition history of Pakistan and Bangladesh continue to be referred to as “Indian history”. Maybe Jinnah anticipated that the Republic of India’s use of the name “India” might gradually exclude Pakistan from this collective Indian heritage. What also did not help was the subsequent attitude of the Pakistani state toward its Indian heritage. Slowly, as relations between the two neighbours began deteriorating, in Pakistan, the term “India” stopped being associated with a larger peninsular identity, but was solely identified with the modern state. Pakistan began distancing itself from its own history, allowing its antagonistic relationship with India to shape its attitude and perception of its Indian heritage. Pakistan’s history came to be defined in opposition to India’s history. A celebration of Muslim rulers ensued — divorced from the political realities that dictated their actions — while all other history and heritage of the Indian subcontinent began to be ignored. A fairly complicated situation exists today. In global academia, the term “Indian history” encapsulates the history of the entire region. But in the popular imagination, Ancient India ends up being reduced to relating to the past of Independent India. For example, the demand that the British return the Kohinoor diamond to modern-day India shows how historical India and contemporary India are seen as an extension of each other, with Pakistan and Bangladesh completely sidelined. However, even if Pakistan today decides to change its attitude towards its Indian heritage and chooses to accommodate it in its identity, it would find it difficult to shape the global narrative that it is indeed one of the successors of Ancient India, along with Bangladesh and India. The situation is unlikely to change in the foreseeable future and it seems the term “Ancient India” will continue to be associated with contemporary India exclusively.